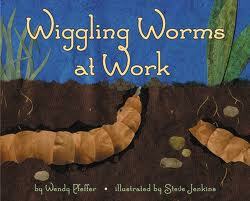 Worms wiggle all over the garden, tunneling through the dirt, helping plants to grow strong and healthy. This book is all about the life of a worm, from what it eats to the way it moves to the benefits it has in your garden. Students will be interested to study their slimy playground pals, and will learn that worms are actually very helpful to farmers and gardeners.